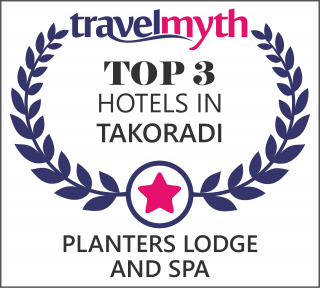 Planter's Lodge and Spa is a 44 bedroom family owned boutique hotel in Takoradi set in over seven acres of lush green vegetation. The British Air Force built what is now known as Planter's Lodge & Spa for their flying officers in 1934 in Takoradi, in the Western Region of Ghana. It was later sold to a British company who used it as a hotel. Takoradi was the only harbour at that time in Ghana and British Overseas Airways Corporation had just a few flights from the capital, Accra, so almost anyone who travelled outside Ghana came to Takoradi to take the Elder Dempster vessels to Europe. Our atmosphere and one-of-a-kind character go hand in hand at Planter's Lodge & Spa. The ambiance is warm and inviting. The look is distinguished and quietly reassuring.